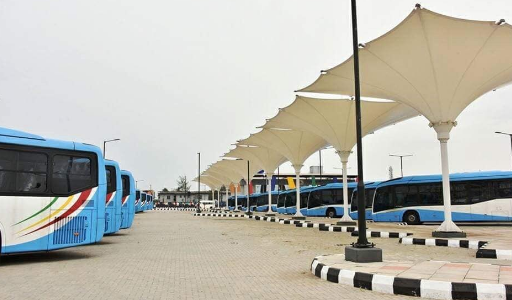 The Lagos State Government is finally set to present 820 medium and high capacity buses under its public transportation Bus Reform Initiative to meet the yearnings of its citizenry. The State Commissioner for Transportation, Mr Ladi Lawanson, who disclosed this yesterday at the Secretariat, Alausa, noted that the deployment of the new buses will address the inadequacies of the present unreliable transportation system in Lagos metropolis. According to him, the State Government designed the Bus Reform Project to correct the many challenges inherent in the present system, through the replacement of yellow mini-buses with air-conditioned vehicles of the uniform specification, predictable bus schedules, and routes supported by appropriate infrastructure. Explaining further, Lawanson said 75 of the 100 bus shelters earmarked for the first phase of the Bus Reform project have been completed to support the operations of the buses. Allaying fears that the existing transport unions members will be sent into the labour market, Lawanson stated that 800 of the buses will be released to private operators through the operating lease model which has incorporated the current road transport operators – National Union of Road Transport Workers, (NURTW) and the Road Transport Employers Association of Nigeria (RTEAN) – as part of the Bus Operating Companies. While congratulating Lagosians for being part of the laudable project aimed at ensuring a better life for all, Lawanson urged citizens to take ownership of the project by guiding against misuse and vandalization when the buses commence operations.